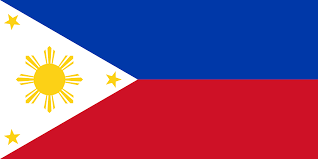 Philippines – What do you want to know? In the article I chose about the Philippines, it showed me that there are so many children in the Philippines have a very hard time getting to school, often having to wade or even swim through water and rivers to get to school. An organization found out this information, and they started trying to raise money to help. They organized programs and earned money to provide boats for these children, so they can have a safer route on their way to school. Many of the people in the country donated to help these children get boats, but the fact that they had an unsafe environment in the first place shows that their views on the children’s safety could be improved. In the Philippines, they care about the education of their kids, but they don’t care as much about their safety. Many of the kids ended up getting boats to help them go to school, but there also was other things donated for the kid’s safety to go to school. There was also a mobile school that goes around to kids who don’t have access to a school. The organization did what they could to make sure that kids had a safe way to get their education. They still have work to do, but they have helped. The population in the Philippines is 104 million, with 1.78 million people in the capital city of Manila. The two official languages in the Philippines are Filipino and English, with Filipino being the national language. Although the capital city is Manila, the most populous city is Quezon City. 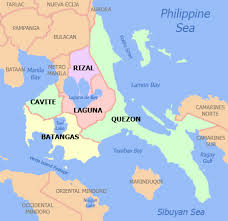 Two of the other major cities are Davao City, where there is a lot of wilderness, and Caloocan, where there are many residential areas, and industrial and commercial sections. The central and most common basis religion is Christianity, with the dominant religion of Roman Catholic. In the Philippines, the poverty rate is 21.6%. This means that there are 21.6% of people who live in poverty, or people who do not have enough money to have a basic standard of living. The country used to have an agriculture based economy, but are now more of a market based one. As of the last 5 years, agriculture employs 30% of Filipino people. 25% of deaths are caused by cardiovascular diseases, or heart problems. There have also been several cases of HIV and AIDS, but overall, the Philippines have a very low HIV rate. Much of their energy is produced by geothermal power, which means by volcanic power. 18% of their energy is produced this way. There are over 7 thousand islands that make up the Philippines, with approximately 120,000 sq miles. They are one of the most biodiverse countries in the world because of this. They are the 12th populated country in the world, and the 5th most populated in Asia. I picked the Philippines because I have friends who have gone on missions to the Philippines, and I was interested in it. I don’t really know much about it other than the fact that there are many islands, so I expect to discover more about the culture, the people, and just more about the country itself, like the physical aspects. I just want to learn about the Philippines. The only questions I really have at the moment are questions about the country, because I know so little about it.